JOIN US to drive awareness to stop odor and stop Newby Island landfill expansion! ● Rally activities are limited to public sidewalk and pitstop shown in map. Do not litter, trespass or obstruct traffic. ● You’re encouraged to participate in Milpitas City Family Bike Event, which is FREE to the public, but not associated to Clean Air Rally. The bike trails offer an excellent recreational opportunity to see protected wildlife, wetlands and odor generation facilities in our community. For almost 30 years, Milpitas residents have been paying Republic Services to collect our garbage and send it to their Newby Island landfill to pollute our own air. NOW WE HAVE A CHANCE TO CHANGE THAT! The city of Milpitas is about to select a garbage collection service provider.for the next twenty years. The almighty Republic Services has many allies in our City Council, which means the city council will very likely give the contract to them again – that is, UNLESS we let them know how much we want otherwise. So make time to join us on Tuesday, September 15, at 6pm, at the Milpitas City Hall fountain, for a RALLY to let the elected city council members know that we REALLY want a garbage collector that send our trash to a more remote area. Please see the attached news letter for more details. After the rally, you are welcome to go into the City Hall for the city council meeting, even speak at the public forum session. Thank you for your continued support in our effort to fight the landfill. Hope to see you at the rally! Please sign up for the Rally by clicking the above link. In October of 2015 the city councilmembers of Milpitas will decide whether or not to renew the contract with the city’s garbage collector, the Republic Services Corp. I heard Newby Landfill Corporation’s attorney laughed at Milpitas government at Santa Clara County Superior Court: Newby Landfill Corp is Milpitas’ garbage collector…Milpitas proved many new buildings close to Newby Landfill…all those have become evidences to against the city of Milpitas to oppose Newby Landfill’s expansion and operations. Therefore, we need to stop doing business with Newby Landfill, otherwise, all lawsuits against Newby will waste Milpitas tax payers ‘money! As you all know that if residents do not voice out, you basically give the politicians a pass to do whatever they want or whoever has the money wants, but definitely not what you want. Please join our RALLY to show your objection on Milpitas renewing the contract with the public nuisance, Republic Services Corp! 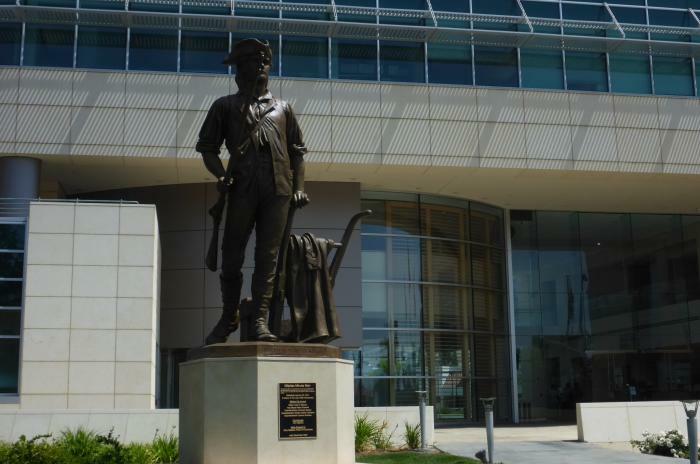 Sept 15th, 2015, there will be a council meeting at Milpitas City Hall. We need you to show up at 6PM gather around the city hall’s water fountain! Government needs your supervision, otherwise the power will be abused and the power will damage your interests in every way! The Public hearing on AB 385 will be held on July 15th at 9:30am. Room 3191, Sacramento Capitol (1315 10th St. Sacramento, CA). Carpool is available, please contact jenniferstrohfus@gmail.com to coordinate.